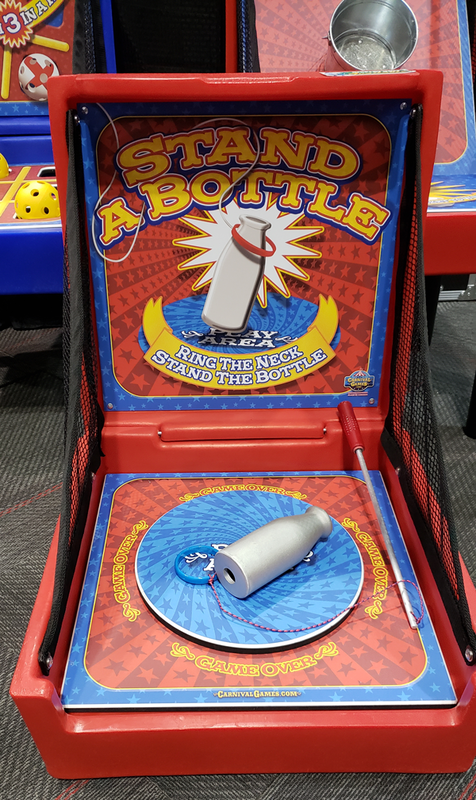 Classic stand a bottle carnival game. Can you stand the bottle? Carnival game comes with legs or can be placed on a table.